Will the Iran-Pakistan Gas Pipeline Really Go Ahead? The nuclear deal may be done, but not everyone is confident the project will proceed. 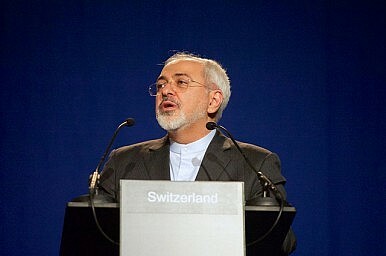 Last month, Iran reached a landmark nuclear agreement with the P5+1. Speculation soon followed that the Iran-Pakistan gas pipeline would benefit from the nuclear deal. The Economic Times meanwhile reported that India was “set to push for the proposed $7 billion gas pipeline from Iran via Pakistan,” now that restrictions were likely to ease in the wake of the nuclear deal. According to one Islamabad-based analyst, who spoke with The Diplomat on condition of anonymity, Washington’s clarification reflects its opposition to the pipeline project. That is a position backed by recent media reports, which have Russia and China both interested in the Iran-Pakistan gas pipeline, with the U.S. opposed. Meanwhile, Moscow – which has historically had closer relations with India, Pakistan’s neighbor and great rival – is increasingly orienting toward Islamabad, as New Delhi and Washington become cozy. Yury Barmin, an analyst specializing in Russia’s Middle East policy, said that Moscow was using the pipeline to get closer to Pakistan and show India it had other options in the region. For his part, Chinese President Xi Jinping recently visited Islamabad, where he announced energy and infrastructure projects worth $46 billion, the biggest ever investment in Pakistan. The U.S. favors the Turkmenistan-Afghanistan-Pakistan-India (TAPI) pipeline, which happens to be opposed by Russia. Syed Fazl-e-Haider, a development analyst based in Pakistan, has noted that U.S. opposition to the Iran-Pakistan reflects its desire to get Caspian resources to world markets through a safer, shorter route, which in Washington’s eyes meant traversing Afghan territory. But the project has to date foundered on the security situation in Afghanistan. Still, when a Turkmenistan delegation met with Pakistani Prime Minister Nawaz Sharif in Islamabad recently, officials told media representatives that construction on the TAPI gas pipeline project is to begin in December. Shehzad Baloch, a Quetta-based analyst, pointed out to The Diplomat that though the IP gas pipeline is significant, Pakistan has yet to construct its section, unlike Iran, which has completed its part of the work. He believes that Pakistan’s government is unlikely to get serious about the pipeline, noting that Balochistan, Pakistan’s largest province, has never been a priority. The analyst said that Iran wants to supply electricity to Balochistan to put an end to electricity crisis in the province, but the Punjab bureaucracy has for years shown little interest. Baloch added that if the pipeline project were to be completed it could bring huge economic changes to Pakistan. But Balochistan could well miss out, as it has little or almost no say in the deal. Adnan Aamir, a columnist with The News International, tells The Diplomat that he does not see the Iran-Pakistan gas pipeline project becoming a reality anytime soon. He notes that even if economic sections are in Iran are finally lifted, Saudi pressure on Pakistan to abandon the project remains. The author is a columnist at the Daily Times. Visit his blog or follow him on Twitter @Akbar_notezai. He can be reached at [email protected]. Given the port’s importance to India and Afghanistan, the U.S. has reportedly carved out a sanctions exception for Chabahar.